Stewart Peninsula is a neighborhood that offers an array of activities for the active family. There are many historical, cultural, and recreational entertainment opportunities close by. This community is a wonderful place to live and to call home. The children of Stewart Peninsula have the opportunity to attend a school in the Lewisville Independent School District. The natural beauty of Stewart Peninsula, mixed with close proximity to Lake Lewisville and shopping and dining establishments, makes this a much sought after neighborhood. Stewart Peninsula Homeowners Association, Inc. is a Texas non-profit corporation. The association was established for the maintenance of the common areas and to provide architectural control and compliance with the covenants, conditions and restrictions of the Declaration. Association members may obtain a copy of the Declaration by clicking on the preceding links or on the "Documents" link to the left. You may also contact Texas Star Community Management directly at (469)899-1000. 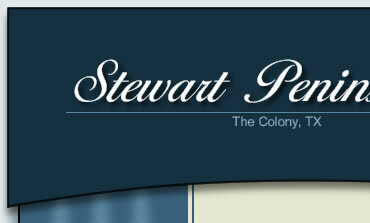 Stewart Peninsula Homeowners Association, Inc. Pool hours are: 6:00 a.m. – 11:00 p.m.
NON-EMERGENCY ASSISTANCE: If you need assistance, please call the SPHOA Security Guard (214) 548-9146, leave a message along with your phone number and your call will be returned as soon as possible. Please shower or wipe off all oils and lotions before getting in the pool. It accumulates on the side of the pool creating a thick residue. No running or rough housing. No bicycles, skateboards, scooters, roller blades or roller skates in use will be allowed in the pool area. No rafts or large flotation devices over 6’ are permitted. Pool furniture may not be “saved” and is on a first come first serve basis. No furniture is allowed in the pools, period. No pets allowed, with the exception of handicap guide dogs. Appropriate swimwear only. No cutoffs. No abusive language, loud radio or excessive noise. Please pick up all belongs and deposit trash in designated trash receptacles. The homeowners association assumes no responsibility for the loss, theft or damage to personal property or effects left in pool area by residents or their guests. The homeowners association assumes no responsibility for any personal injury to anyone resulting from the use of the pool. Please do not allow access to anyone who does not have their access card or has an access card that does not work. Violation of this rule could result in loss of privileges. DO NOT GIVE YOUR ACCESS CARDS TO ANYONE OTHER THAN MEMBERS OF YOUR HOUSEHOLD. RULES AND REGULATIONS MAY BE AMENDED BY THE BOARD; VIOLATIONS TO THESE GUIDELINES MAY RESULT IN DISCONTINUED POOL PRIVILEGES AT THE SOLE DISCRETION OF THE BOARD. These can be found under FAQ List.